It's the third day of the A to Z Challenge. Ready to learn some new words with me? Sentence: Sally always becomes the cynosure because of her good looks. Sentence: The contumacious woman wouldn't agree to anything the police officer told her to do. Definition: having an unpleasant sound. Sentence: Shoppers mingle, traders peddle their wares and children play in the street, all to a cacophonous backdrop of roaring motorbikes and honking cars. Definition: produced by a wildly fanciful imagination. Sentence: Indeed during his wild and chimerical attempts for finding out a golden country, it is not improbable that this brave adventurer visited many different places. Definition: occurring in the same period of time. Sentence: In all cases, these materials have been introduced into the cave at some period subsequent to, or contemporaneous with the formation of the cave. I love the word cacophonous, sometimes it's the best way to describe a lot of noise. I have also worked contemporaneous into an essay in the past as well (in order to conserve my word count), hehe. 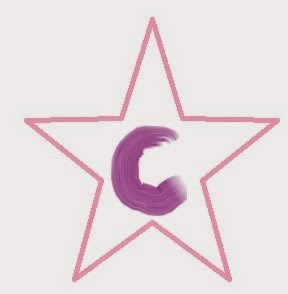 I think C words are like barking sounds sometimes LOL they need to be said with grit like Cacophonous CCCCC lovely! Love the sound of these words! Oh I love adding words to my vocabulary! Great words you chose. Melissa, I feel my brain growing! I'm going to have to push out useless information to make room for more vocabulary. Keep it coming, girl. Nice words! What a great challenge - I like the idea of a-z blogging.